The Fischer FiberOptic Series is designed to perform perfectly in harsh and extreme environments. With the best quality and stability needed for optical links combined with simple mating and field cleaning, these connectors are ideal for both indoor and outdoor applications. The FiberOptic series features high ingress protection of IP68 when mated, and IP67 when unmated. These push-pull fiber optic connectors are pre-cabled for maximum performance and time saving. They are available in two versions: the FiberOptic FO1, FO2 and FO4, and the FiberOptic Hybrid FOH 2-2. This series also offers a rugged hybrid connector with four channels available for any electrical/optical combinations. 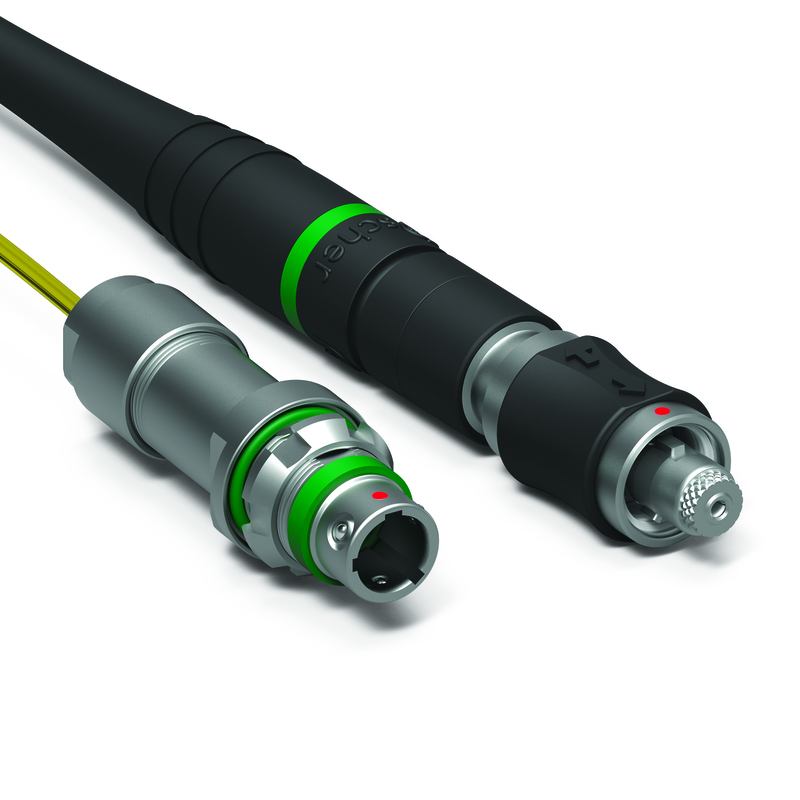 The Fischer FiberOptic Series hybrid connector with two optical channels and two electrical contacts is perfectly suitable for demanding indoor and outdoor applications, where space saving is essential. The hybrid FOH 2-2 has the same key features and benefits as the Fischer FiberOptic Series FO1, FO2 and FO4. For more information on the available body style selection, technical dimensions, deployment accessories and more, download the datasheet.